Botox is a pretty popular solution for smoothening out frown lines, laugh lines and other wrinkles. But that’s not all it’s good for. Have you ever heard of hyperhidrosis? This is simply a fancy word for excessive sweating. And it just so happens that it affects more people than you may think. To know if you are one of them, there are a number of symptoms to look out for. Do you experience wetness in various areas of your body? Do you find that you are sweating even in cool temperatures? Do you notice that you perspire even when you are resting? If so, it is possible you have have hyperhidrosis. Not to worry, this condition is a lot less scary than it sounds. I wouldn’t want you to think there is anything life threatening about it. The truth, however, is that hyperhidrosis can be both an embarrassing and annoying issue. Having to constantly change clothing due to wetness and staining and overdoing it on the deodorant are just two troublesome concerns. But how about the odor that comes along with excessive sweating? No one is particularly interested in that. Those who have hyperhidrosis simply have overactive sweat glands. There are also two types of the condition. Primary hyperhidrosis refers to excessive sweating that affects the hands, armpits and feet. Secondary hyperhidrosis is when one experiences excessive sweating due to other medical conditions. There is a four-point scale known as the Hyperhidrosis Disease Severity Scale or HDSS. This helps for patients to determine exactly how much the condition is affecting their lives. Number 1 on the scale represents the least amount of severity and refers to the condition as never being noticeable and never interfering with one’s daily activities. Number 2 is when hyperhidrosis is tolerable but sometimes interferes with daily activities. Number 3 indicates a condition that is barely tolerable, frequently interfering with daily activities. And Number 4, as you can imagine, is pretty bad. This is when hyperhidrosis is intolerable, interfering with daily activities at all times. 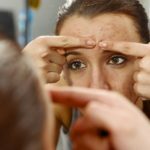 When someone is suffering from this condition, Botox is able to help. You may be wondering how a medicine that is generally injected to smoothen out facial lines can help someone’s excessive sweating. Well, the concept is pretty much the same. The way that Botox Cosmetic blocks nerve impulses is similar to the way Botox Therapeutic works. Injections in the armpits, for example, temporarily block the chemical signals from the nerves that stimulate sweat glands. 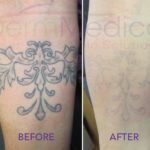 If you are experiencing any form of hyperhidrosis that has caused some disruption in your life, it would definitely be worth looking into how Botox can help you. For more information, contact DermMedica toll free at 1-866-861-3070, or if you are in Kelowna, call 250-868-3070.